The Frenchman skipped Thursday?s session Barcelona winger Ousmane Dembele has been sidelined from training with a case of gastroenteritis. 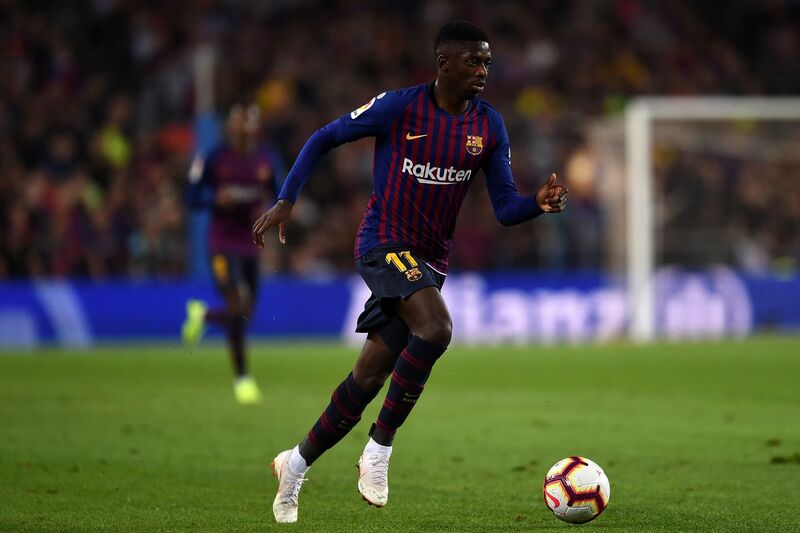 Dembele has been playing well as of late and with Messi still recovering from injury is a nice piece to have available. ?Already looking ahead to the next League game against Real Betis at the Camp Nou, players from the first team, including Lionel Messi and Samuel Umtiti, trained on pitch two of the Ciutat Esportiva Joan Gamper. ?Those who started at the Giuseppe Meazza did recovery work, with Chumi, Miranda and Riqui Puig from Barça B making up the numbers. Ousmane Dembélé didn?t train because of gastroenteritis.? It remains unclear how long this will effect Dembele. The stomach flu is a nasty thing to have and can be something you get over in a day or that plagues you for weeks. Hopefully Dembele will have a speedy recovery.